ON SUNDAY 20th November we brought our Autumn teaching series #ThingsJesusNeverSaid in the English service to a finale as we tackled the final theme of the Autumn, that of doubt. 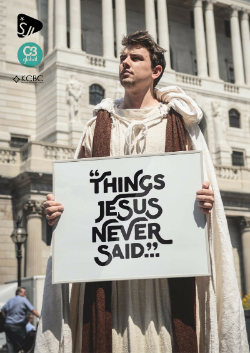 We continued to consider some further misconceptions surrounding the words of Jesus with Pete James delivering a powerful message on the topic. Why not share with a friend and join us for this final week in a great teaching series.